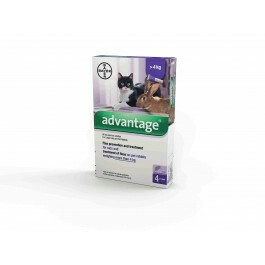 ADVANTAGE SPOT-ON SOLUTION contains Imidacloprid, a substance that kills fleas, flea larvae, and lice. It does not affect the nervous system of mammals and has very low systemic absorbance so is safe and effective. ADVANTAGE SPOT-ON SOLUTION can be used for the prevention and treatment of fleas in cats, and as part of a treatment strategy for Flea Allergy Dermatitis (FAD), where this has been previously diagnosed by a veterinary surgeon. ADVANTAGE also treats flea infestations on rabbits. Additionally, larvae in the surroundings of the treated pet are controlled by Advantage. The active ingredient in ADVANTAGE SPOT-ON is Imidacloprid, a substance with a novel and effective mode of action. Imidacloprid causes inhibition of cholinergic transmission in the central nervous system (CNS) of insects, resulting in paralysis and death. However due to the biological differences between the CNS of insects and mammals, the substance has virtually no effect on the CNS in mammals. Flea larvae in the surroundings of the pet are also killed following contact with an animal treated with Advantage Spot-on. The solution is indicated for cutaneous (skin) administration. Following topical application, the product is quickly distributed over the animal. Systemic absorption of imidacloprid by the treated animal is very low, transient and not relevant for clinical efficacy. This has been further demonstrated by a study in which fleas were not killed after having fed on previously treated animals once the animal’s skin and fur had been cleaned of all active material. Apply one tube of ADVANTAGE SPOT-ON 80 per cat or rabbit of 4kg bodyweight or greater. Fleas are killed within one day following treatment. One treatment prevents further flea infestation on cats for up to 4 weeks and on rabbits for up to one week. Treatment should be repeated after 4 weeks. Treatment of nursing queens controls flea infestations on both dam and offspring. The product remains effective if the animal becomes wet, for example after exposure to heavy rain. However, re-treatment may become necessary, depending on the presence of fleas in the environment. In these cases do not treat more frequently than once weekly. Remove one tube from the package. Hold tube in an upright position, twist and pull off cap. Use reversed cap to twist and remove seal from tube. Part the hair on the rabbit’s neck at the base of the skull until the skin is visible. Correct application will minimise the opportunity for the animal to lick off the product. Do not use in rabbits intended for human consumption. 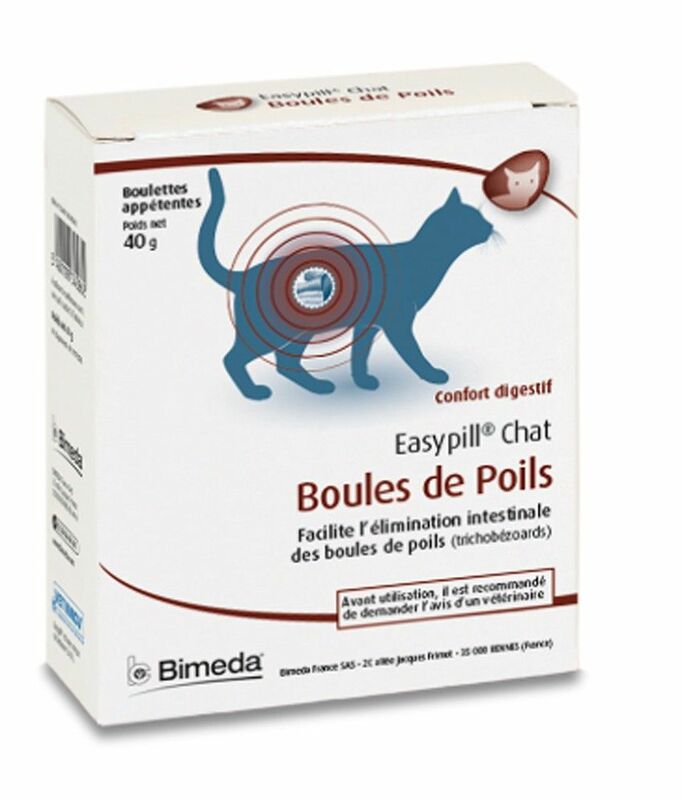 No incompatibility has been observed between this product at twice the recommended dose and the following commonly used veterinary products: lufenuron, pyrantel and praziquantel (cats). The compatibility of the product was also demonstrated with a wide range of routine treatments under field conditions including vaccination. Studies indicate that no adverse reactions should be expected in pregnant or lactating animals. This product contains benzyl alcohol and may cause skin sensitisation or transient skin reactions (for example, irritation, tingling). If skin or eye irritation persists, obtain medical attention. If the product is accidentally swallowed, obtain medical attention immediately. After application, do not stroke or groom animals until application site is dry. Store away from food, drink and animal feedingstuffs. The product is bitter tasting and salivation may occasionally occur if the animal licks the application site immediately after treatment. This is not a sign of intoxication and disappears within a few minutes without treatment. Poisoning following inadvertent oral uptake in animals is unlikely. In this event, treatment should be symptomatic under veterinary medical attention. There is no known specific antidote but administration of activated charcoal may be beneficial. Re-infestation from emergence of new fleas in the environment may continue to occur for six weeks or longer after treatment is initiated. More than one treatment may therefore be required, depending on the level of fleas in the environment. To aid reduction in environmental challenge, the additional use of a suitable environmental treatment against adult fleas and their developing stages is recommended. In order to reduce further the environmental challenge, it is recommended that all dogs, cats and rabbits in the household are treated. The KONG Moppy Ball is a fun toy for your cat to stalk, pounce and attack.